CLOSEOUTS. 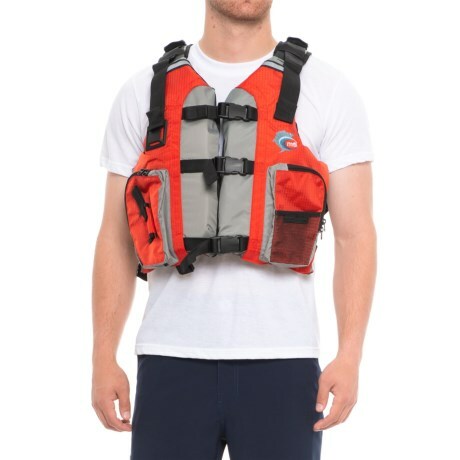 The MTI Adventurewear Calcutta PFD life jacket has a design that wonand#39;t inhibit your casting motion, plus front-zip pockets for a few angling extras. Available Colors: ORANGE/RIPSTOP GRAY, KHAKI/RIPSTOP GRAY. Sizes: O/S.